There have been a few books about LEGO and its adult community, and even a TED Talk about it. The problem with each of them is that they are not written by Adult Fans of LEGO (AFOLs), but by outsiders who are looking in. Some have received praise, but they just come across as exploitive of a community that is not very mainstream. The Cult of LEGO is the first book written by an AFOL for adults. 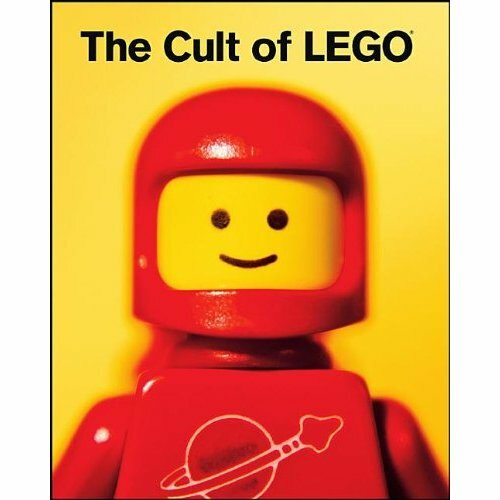 The Cult of LEGO is written by John Baichtal and Joe Meno. Baichtal is a contributor to such periodicals as Make Magazine and Wired’s Geekdad. Meno has not only run LEGO conventions and has had his designs produced by LEGO, but is also the editor-in-chief of the AFOL magazine BrickJournal. In all fairness of disclosure, I had an article I wrote about Touristbot in BrickJournal issue 14, and I am friends with Joe. The Cult of LEGO is a glossy, oversized book that displays its information well. The format lends itself well to the plethora of pictures that adorn the pages that accompany the prose. The book starts by breaking down the history of LEGO and the LEGO company. From there, we learn about the adult LEGO community and some of its quirks, from its terminology to some of its members to some of the custom pieces they use. The rest of the book focuses less on the community and more on the creations. Baichtal and Meno show us the creations and remixed culture that has grown up around the plastic bricks along with those people who grew up playing with them. Art, animation, sculptures, robots and complex brick creations are abound and show the limitless potential of the brick. My qualms with the book are minor, and have more of a focus of an AFOL. Many of the projects displayed in the book are slightly older and many were popularized on the web previously. The former is a caveat of publishing and the latter is more of an issue of being part of the scene they are writing about when the focus of the book is people unfamiliar with the community and bringing them in. Since each topic in the book is limited only to a couple pages, the book is not go into too much depth with most of its coverage, but it is enough for the casual reader and gives a jumping off point to look for more information online. The Cult of LEGO gives a great feel for the creations and community, but does not teach how to create them. It inspires the imagination and shows the breadth of what can be made with an assortment of LEGO bricks and an open mind. It’s a great place to start for people who want to move beyond building what’s in the boxes and is a beautiful looking book for those who are already part of the LEGO community and want to see more of it.